The Singapore-headquartered Huobi exchange stands accused of orchestrating voter collusion in elections for EOS block producers (bps). 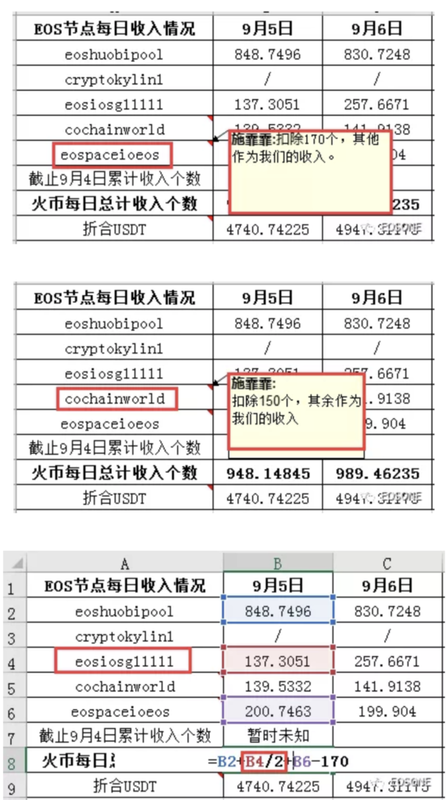 Screenshots of a spreadsheet obtained by Chinese-based EOSONE are claimed to record block producers voting for each other and, it is also alleged, in Huobi’s case receiving payments from other bps. There are 21 super node bps that verify blocks in EOS’s delegated proof-of-stake (dPoS) consensus system. The Excel spreadsheet is said to be the work of Huobi employee Shi Feifei and is entitled: “Huobi Pool Node Account Data 20180911” [note Google translates Huobi to “Fire Coin”]. The spreadsheet entries purportedly show that Huobi voted for 20 block producers (bps) and in return 16 voted for Huobi. Huobi is alleged to control five nodes. The table below shows four of those nodes in grey (eoshuobipool being the fifth). Worries about the possible centralizing influence of exchanges have been swirling since the EOS network went live in June and voting for block producers began. In addition to the 20 already identified, Huobi nodes gave support to seven standby bps that were all non-functional. The EOSONE investigation states: “…these 7 nodes were proposed by the shEOS node on August 25, 2018 with no public nodes, no website, no ownership information, no node interaction, etc”. The suspect nodes are: strongmonkey, greencapital, cochainworld, eoschaintech, eossixparkbp, eosorangeeos, voldemorteos, although Huobi is no longer supporting them, says EOSONE. If the documents are the real thing, then Huobi also appears to be receiving payments from specific block producers. The value of these payments to Huobi, based on the period 5 – 11 September, averages at 1,116 EOS ($6,000) a day, claims eosone. Today Huobi issued a statement in which it denied having financial dealings with other EOS nodes but did not explicitly rule out the authenticity of the spreadsheet. statement: the recent media feedback, there are “internal documents” show, the Huobi EOS node has a profit-making situation, through the initial preliminary verification, the Huobi currency and the text mentioned in the article The node does not have any financial transactions. The situation is still being further understood. 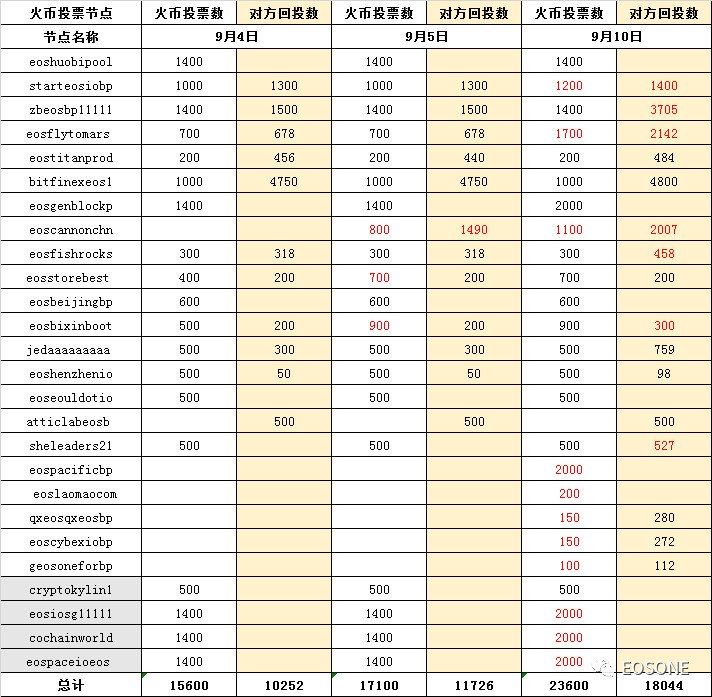 It is understood that today’s media EOSONE broke the news, recently a “Huobi Pool Node Account Data 20180911” Excel data table is circulated on the Internet, the table data shows that the fire coins and other nodes vote mutually, and control other nodes to split nodes income. 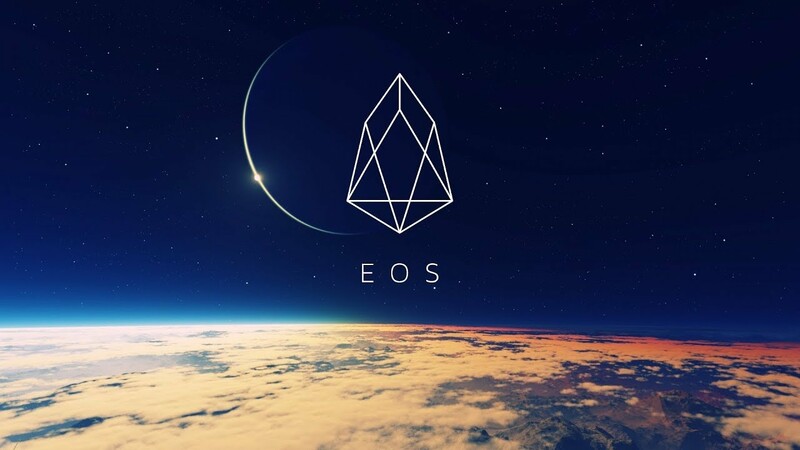 Unusually for a crypto asset, where EOS is concerned exchanges are big players in the dPoS “mining” business, a by product perhaps – although not a necessary one – of the protocol’s delegated proof-of-stake consensus. Two of the largest exchanges Huobi and Bitfinex have sizeable footprints. EOSHuobiPool has a 2.17% share of voting and BitfinexEOS1 1,92%, according to EOS Titan Labs. Exchanges have even been accused of voting with the EOS tokens of their clients who are not taking part in elections. Overall, around 25% of circulating tokens are taking part in the voting process. EOS, developed by Block.one which owns 10% of the 1 billion supply, strongly divides opinion in the crypto community after it raised $4 billion in its ICO. Block.one was criticised for failing to build any supporting infrastructure for the EOS mainnet launch. EOS critics say its architect, Dan Larimer, was in too much of a hurry, a trait supposedly in evidence in his previous projects – BitShares, one of the busiest blockchains currently in existence, and the Steem blockchain, another success, despite the naysayers. A welter of voting, governance issues and arbitration disputes, as well as recent EOS betting dapps smart contract hacks and an incident where fake EOS tokens flooded a decentralised exchange, continue to afflict the network. However, its supporters say this should not obscure the real progress being made, seen in the popularity of betting dapps and the successful launch of Everipedia. DappRadar lists 63 active dapps on the network, although not all of those are active. From today EOSBet starts accruing the dividend for its BET token holders, with the first of the payments starting in November on a split of 20% of profits retained and 80% for token holders. After the first five weeks of operation EOSBet says it has made 555,555 EOS ($3.2 million). The dividend payout is calculated on the basis that if you own 1% of BET tokens you receive 1% of net profits from the casino. Dividends are already accruing, and the 30,000 EOS we’ve made in profit today is yours! Please check the eosbetdivs11 account for your dividend payout for today! In the first 5 weeks of our operation, we made approximately 555,000 EOS. This first month of profit will be devoted toward our bankroll, however every future month profit will be sent straight to BET holders as dividends. Block.one chief executive, Brendan Blumer told Bloomberg recently that the company has set up a $1 billion venture fund, EOSVC to incubate dapps on EOS. He also confirmed in the interview that tech entrepreneur Peter Thiel and Bitmain co-founder Jihan Wu are investors. Blumer says the mystery application he was referencing will drop “later this year, early next”. Things sound a bit healthier at the top of the tree than they do at the coalface with the bps. Not too soon. The company has just been hit by resignations by top talent, with four execs departing to set up EOS project StrongBlock. Blumer’s response to the news, that “no core team have left” was not convincing when you consider the key roles that were held at Block.one: David Moss, senior vice president of technology operations, Thomas Cox, vice president of product; Brian Abramson, vice president of infrastructure and Correy Lederer, senior director of technology products. It was noteworthy that when he was directly asked in the Bloomberg interview who had resigned, he did not proffer any names. Instead Blumer said the persons had been “dismissed” but then quickly correcting that to “let go”, adding, by way of downplaying its significance, that “there’s always some churn”. He was a bit more charitable in his recognition that those departed, under whatever circumstances, to work on StrongBlock would be “continuing to foster the ecosystem”. In response to the latest voting collusion allegations some EOS account holders are reassessing their voting behaviour to counter what they say as undue influence of Huobi. As always with crypto, claims of FUD fill the air.